Where does the money come from for the loan? 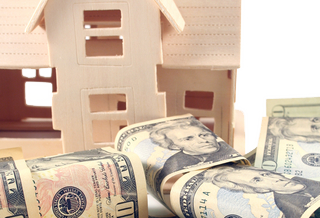 Here’s a good question we’re asked all the time: Where does the money come from for the loan? Mortgage lending operates under three distinct models: Mortgage Brokers, Mortgage Bankers and Retail Banks. 1. Mortgage Brokers are much like independent insurance agents — they have access to many different lenders and many different programs. They work through the “wholesale side” of the larger banks and therefore are able to secure better rates for their clients than they could get on their own. They work as the “middleman” helping you package up and present the loan to the lender to ensure a smooth process. 2. Mortgage Bankers, like The Family Mortgage Team @ Leader One Financial, often operate in a very similar fashion to Mortgage Brokers. The difference is that they typically secure several “warehouse lines of credit” (oftentimes provided by large banks) which allows them to have direct control over the entire loan process. They will underwrite, approve and fund the loan in their name just like a bank. Shortly after closing, your loan will be sold to one of several large investors that have already agreed to purchase the loan which allows the warehouse line of credit to be repaid so they can continue to originate new loans. Because they have larger volume, they are able to secure even better pricing/rates from the end investors, which allows them to cover the additional cost of the staff that is necessary to control the loan process from start to finish. Therefore, at the end of the day, assuming they run an efficient operation, they provide comparable rates to that of the mortgage broker. 1. Last is the retail bank. That is when the consumer goes direct to a bank like SunTrust, Bank of America etc…and applies for a loan on their own. Because you are going to the “retail” side of the bank, rates will not typically be as competitive. In addition, the service levels are generally dismal, as anyone that has tried to deal directly with a big bank can attest.